“Measure twice, cut once” is an adage adopted from carpentry. It’s meant to remind us to make sure we carefully plan before we take actions that can’t be undone. When you are building a cabinet, a wrong cut can be a setback for a project, and it can lead to wasted materials. In dentistry — and with oral surgery in particular — you want someone who is deliberate in his or her planning and has the skills to carry out that plan. 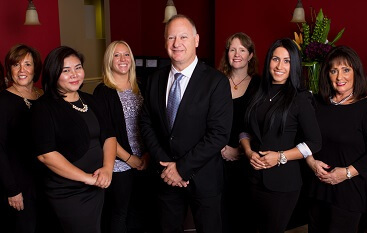 You need a dentist like Dr. Scott Frank of North Shore Oral and Maxillofacial Surgery in Buffalo Grove, IL. One of the times when that combination of planning and skill is particularly important is with the placement of dental implants. To say that dental implants have transformed the way teeth are replaced might be an understatement. The development of implants (thanks to an accidental discovery involving the study of blood circulation in rabbit bones) has led to what many people would consider the closest thing to a third set of teeth that humans can have. Before they fall out, our primary teeth serve as guides for our permanent teeth. Our permanent teeth are intended to be just that — permanent. If they do fall out, get knocked out, or have to be removed, we can’t grow them back. For a long time, the best people could hope to do was to replace the crowns of their teeth. That is, to replace the part of your teeth that you see when you smile. Various kinds of dental bridges and dentures could restore the appearance of your smile, and they could restore some of your natural biting power. But they weren’t as strong or as stable as real teeth. Then dental implants were invented. These allowed bridges and dentures to become more than just placeholders that primarily provided cosmetic benefits. With dental implants, teeth replacements could have replacement roots as well. This made them both stronger and more stable. As a result, people could smile knowing their teeth replacements looked natural. They also could order anything they wanted when they dined out with family and friends because of the added bite force that comes from having implants. The benefits of having dental implants are the result of careful planning and strategic placement. By placing the implants in the correct places and positions in your jaw, you will receive the maximum benefit from each for decades to come. That’s also why careful planning is essential for this procedure. At North Shore Oral and Maxillofacial Surgery, we use state-of-the-art technology to make sure we understand precisely where your implants should be embedded in your jaw. We use a cone beam scanner to create a detailed three-dimensional image of your mouth and head. This gives us a greater understand of where your jaw is strongest and where your implants should be placed. In a real sense, we can conduct a “virtual” surgery so we know as best we can what will happen when your implants are placed. By the time you come in for your procedure, we have developed a specific plan, and we know exactly what needs to be done. This isn’t a perfect analogy, but it’s similar to calling JULIE before you dig in your yard. The Joint Utility Locating Information for Excavators was set up so people would not accident cut through a utility line while working on a backyard project. In a way, your jaw has its own utility lines in the form of nerves that run under your teeth. We certainly don’t want to affect that nerve, which is why planning is so important. This also is one of the reasons we invested in the cone beam scanner. While humans share similar anatomical features, no two people are exactly alike. Our 3D imaging gives us a more accurate view of your specific features, and that allows us to do dental implants placements that are safe and effective. Our goal is to lay the groundwork for you long-term oral health. To do that, careful preparation is essential. 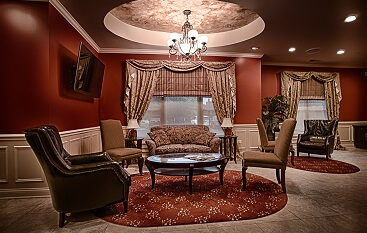 Our dentist has been serving Buffalo Grove, IL, and the surrounding community for decades. 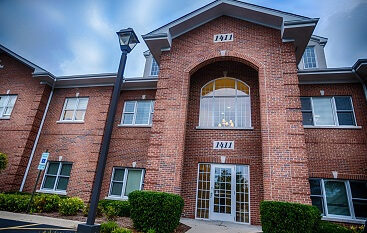 North Shore Oral and Maxillofacial Surgery has helped thousands of patients and received referrals from several dentists throughout the region. Before you schedule an oral surgery, use our online form or call (847) 613-4933 to schedule a consultation. Let us show you what we can do for you.